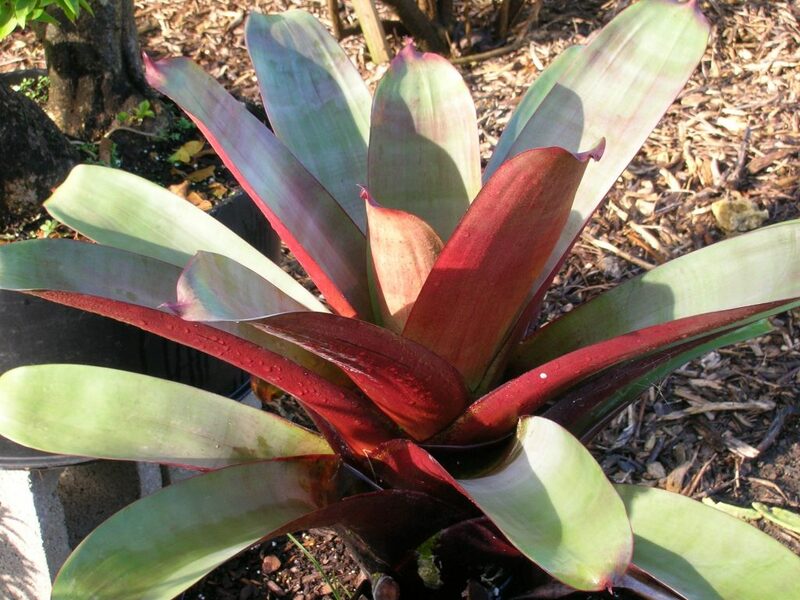 This week focuses on two terrestrial bromeliads. 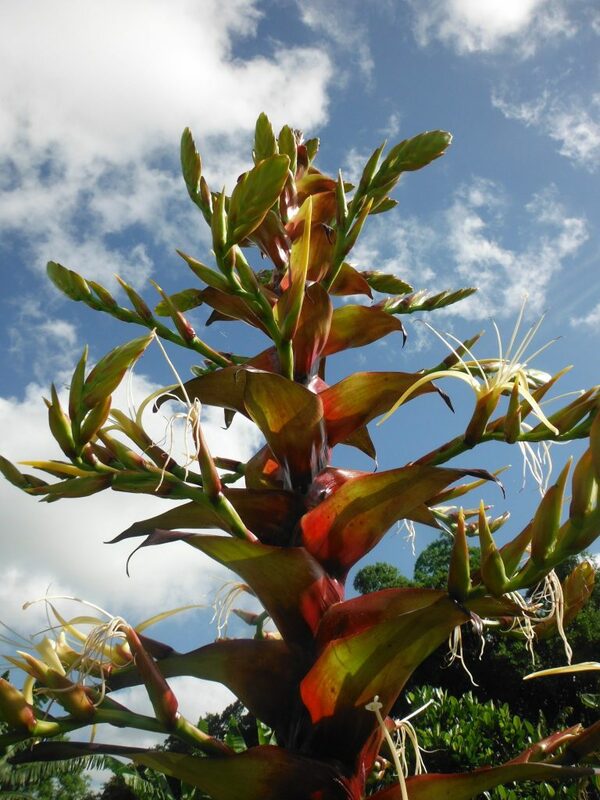 When you talk about bromeliad plants, most people get an image in their heads of plants growing high up in the trees. 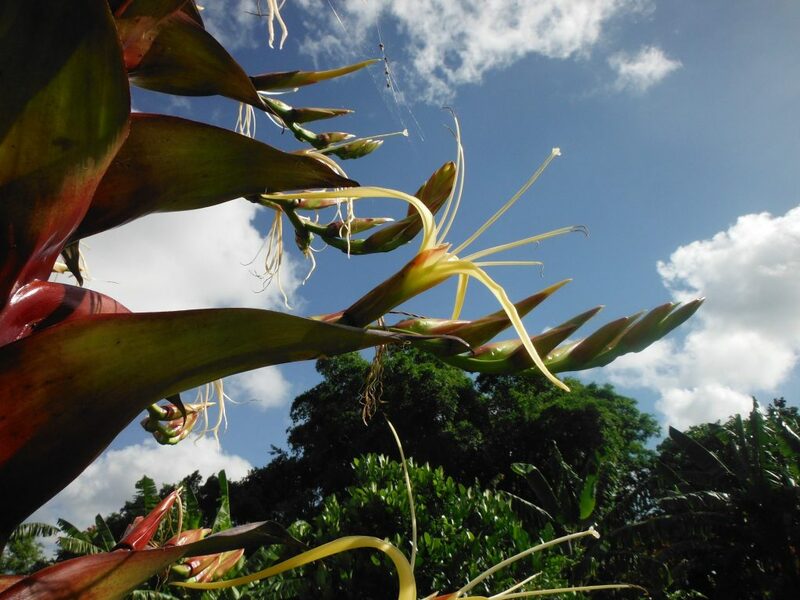 The reason for this, is the majority of bromeliads are in fact epiphytes. 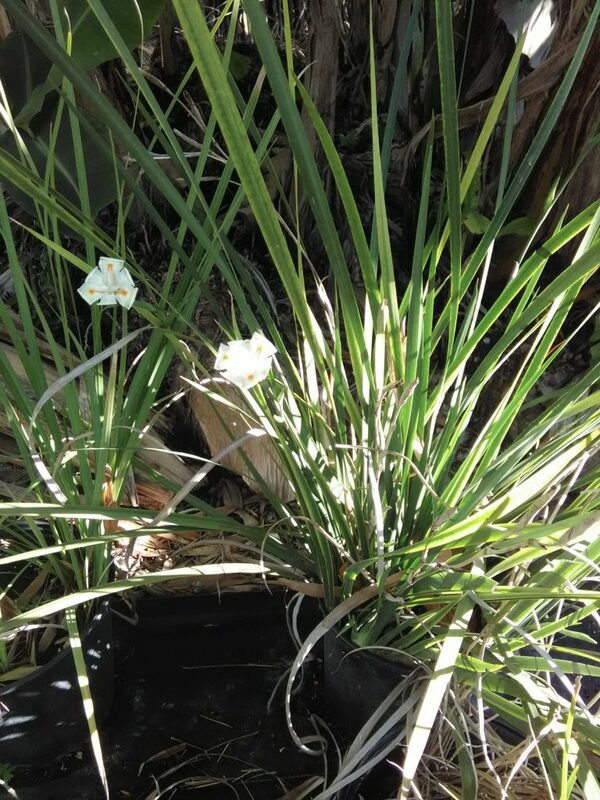 That is, a plant growing on another plant. 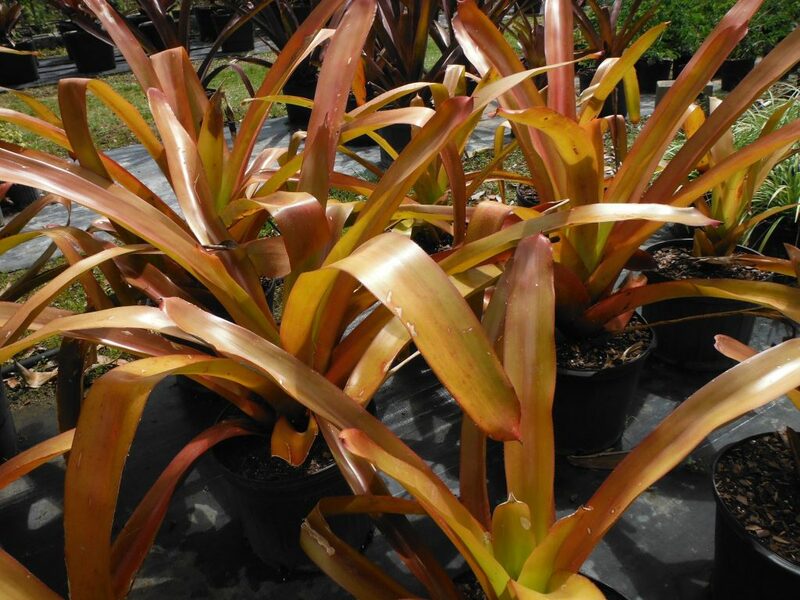 However, in the cases of Aechmea blanchetiana (The Orange Bromeliad) and Alcantarea imperialis (The Imperial Bromeliad), both of these species naturally grow directly in the ground in full sun. 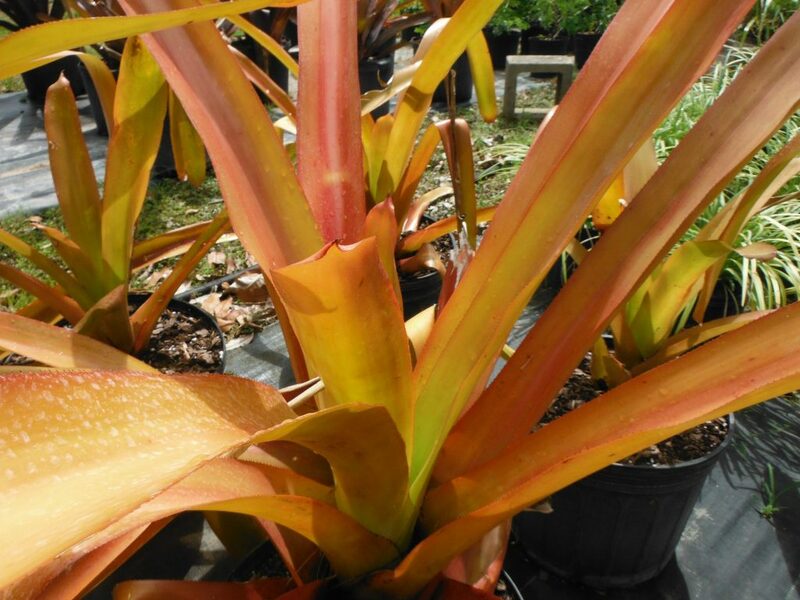 In fact, The Orange Bromeliad will lose its orange leaves if it gets shaded too much. 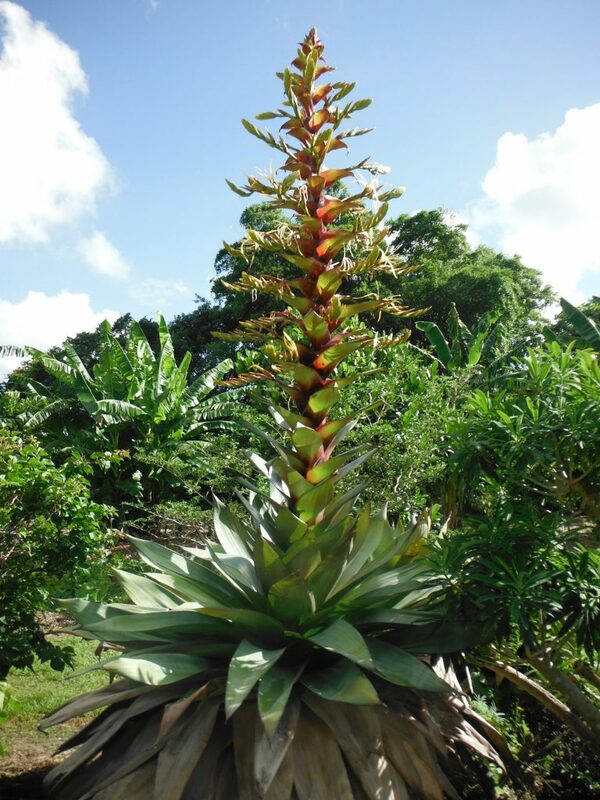 The Imperial Bromeliad is the largest bromeliad species, reaching 5 feet across and its flower spike can reach 8 feet tall. 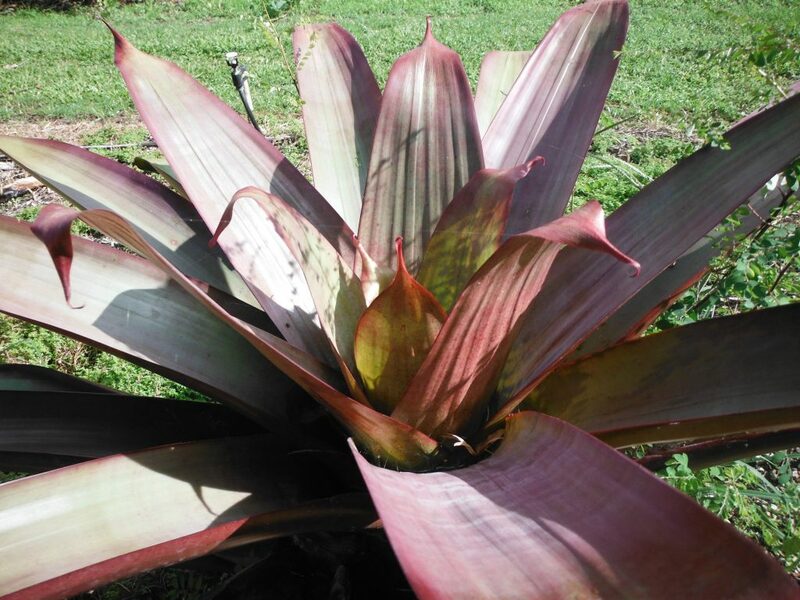 This bromeliad is endemic to Brazil. 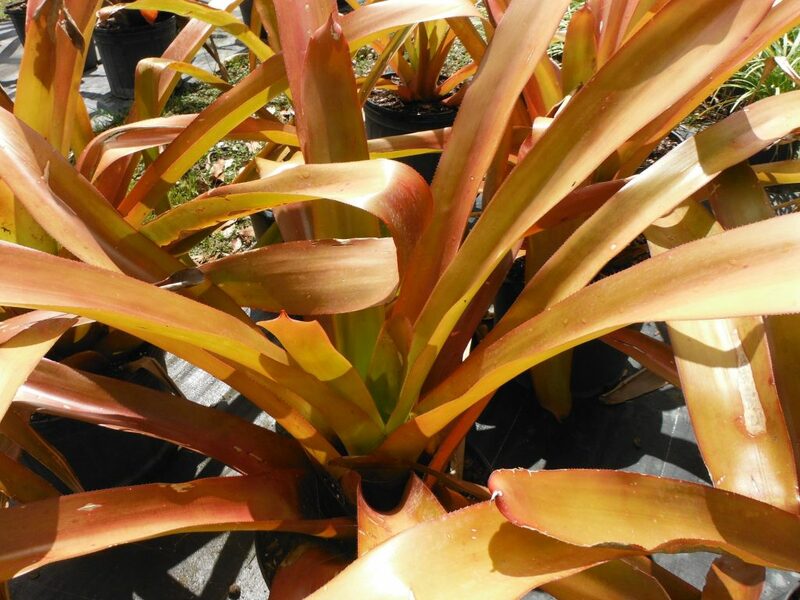 Richard Lyons Nursery has both of these bromeliads in stock. 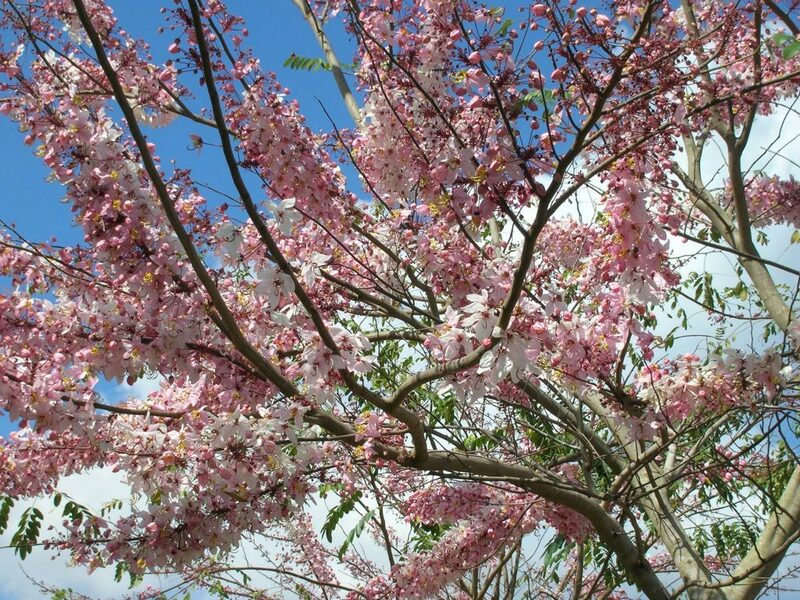 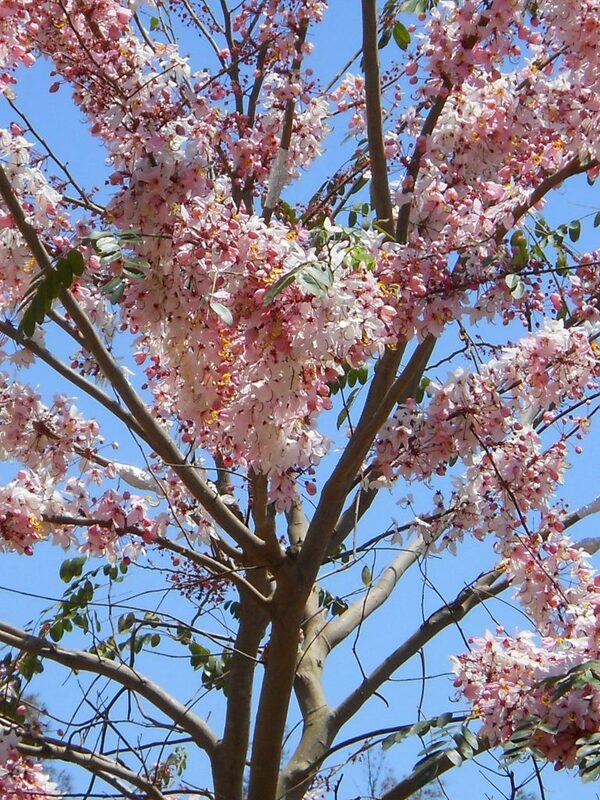 This week’s focus will be on two tropical vines not seen very often in the landscape. 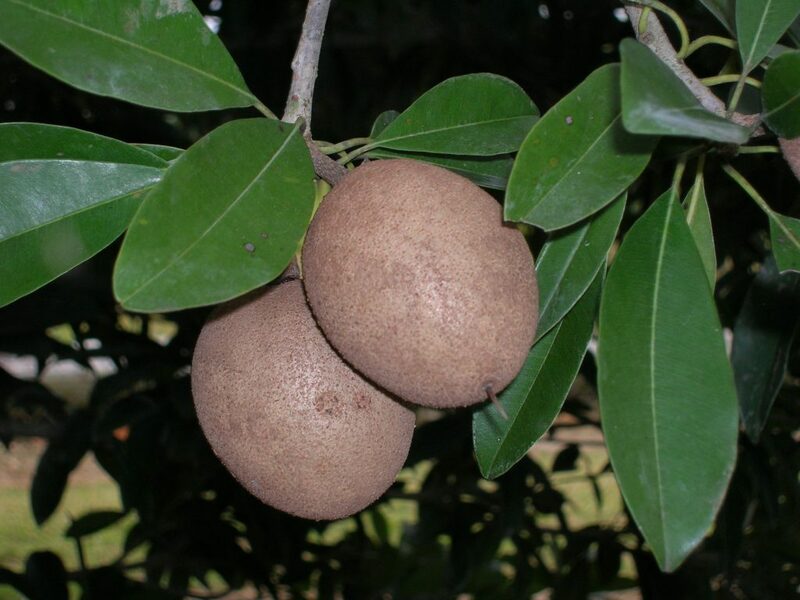 The first one is a member of the Euphorbiaceae or Spurge Family. 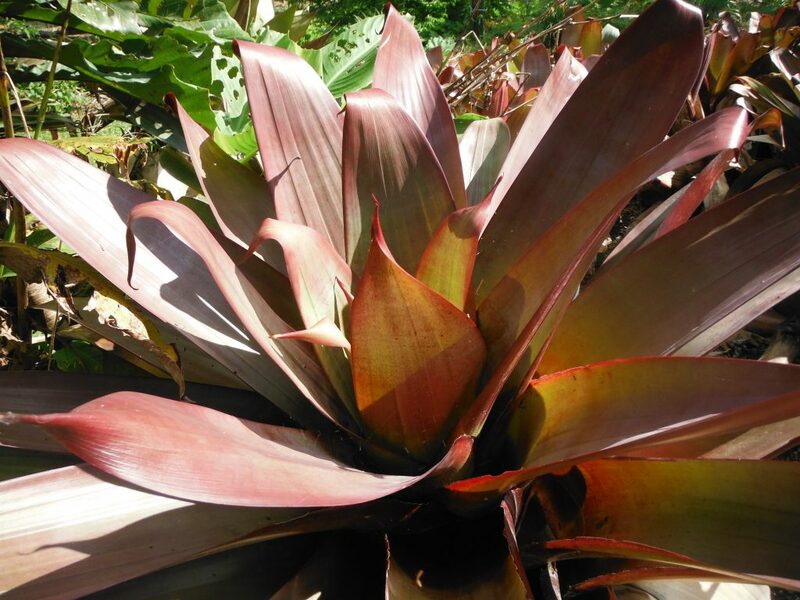 This family is best known for Poinsettias and succulents of South Africa. 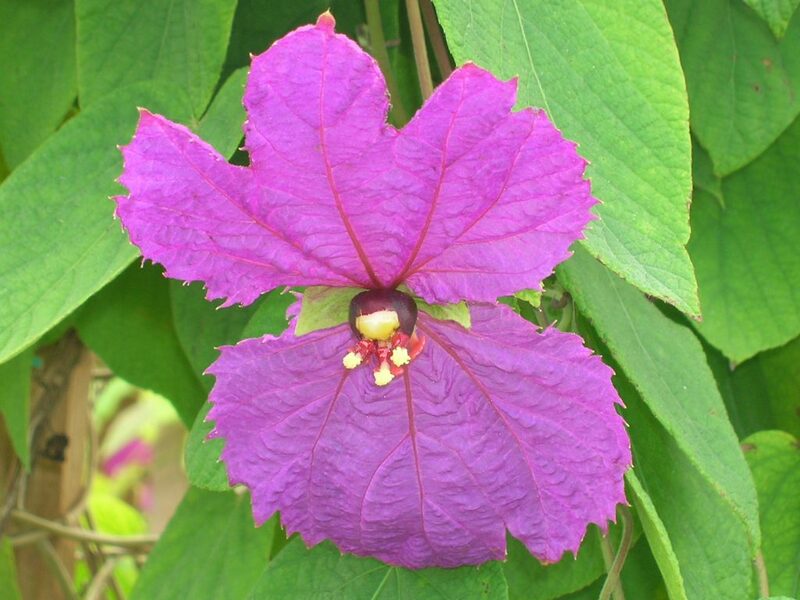 However, there is a tropical vine, Dalechampia dioscoreifolia or commonly called, Winged Beauty or sometimes the Costa Rican Butterfly Vine. 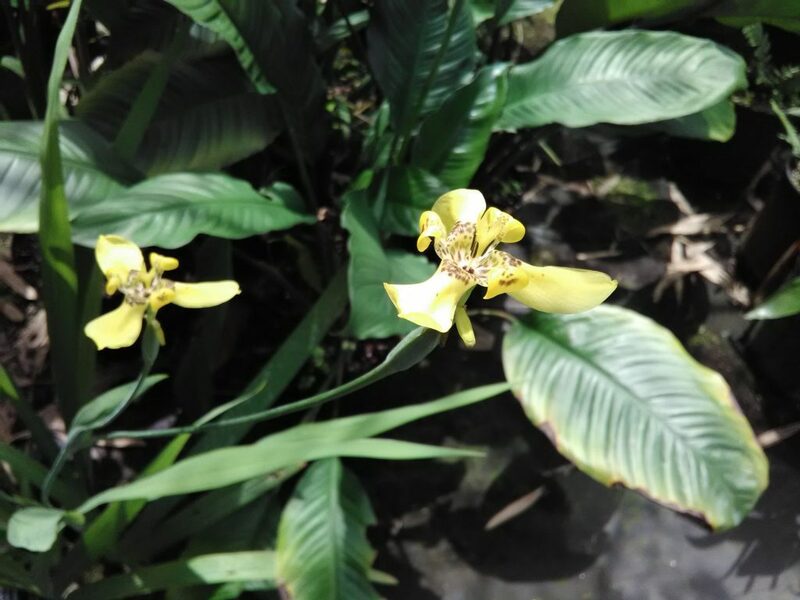 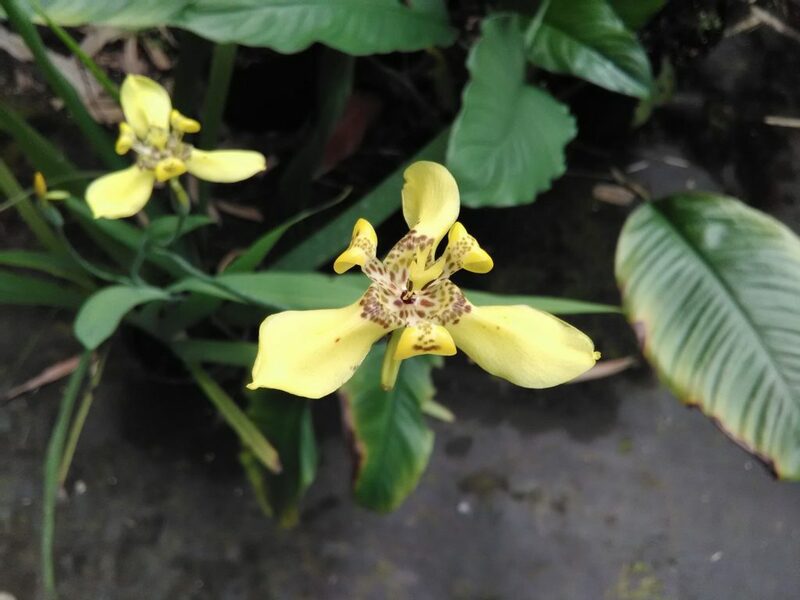 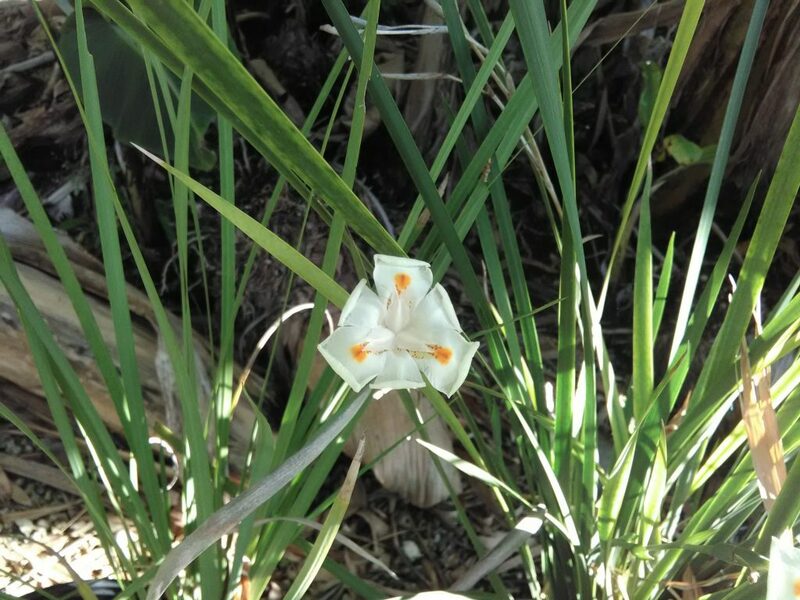 The flowers are comprised of two conspicuous purple bracts that resemble a butterfly which surround a small inconspicuous red and white flower. 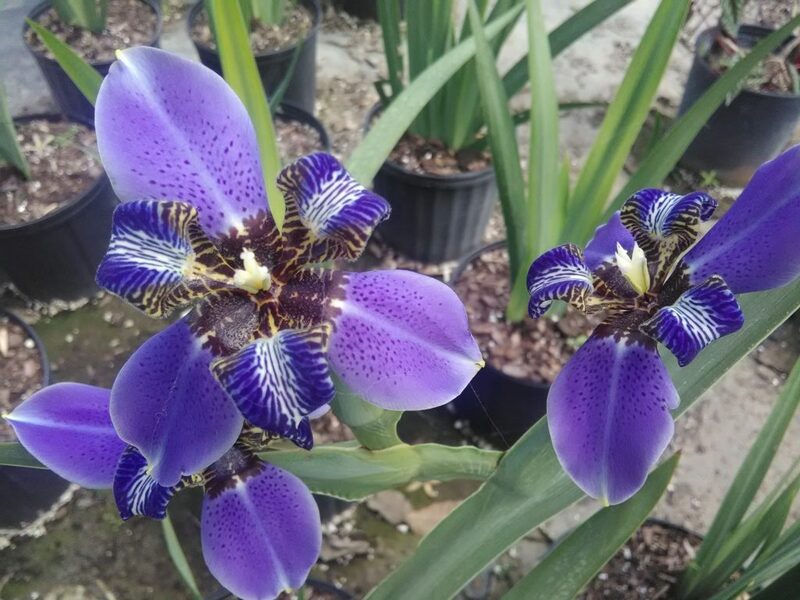 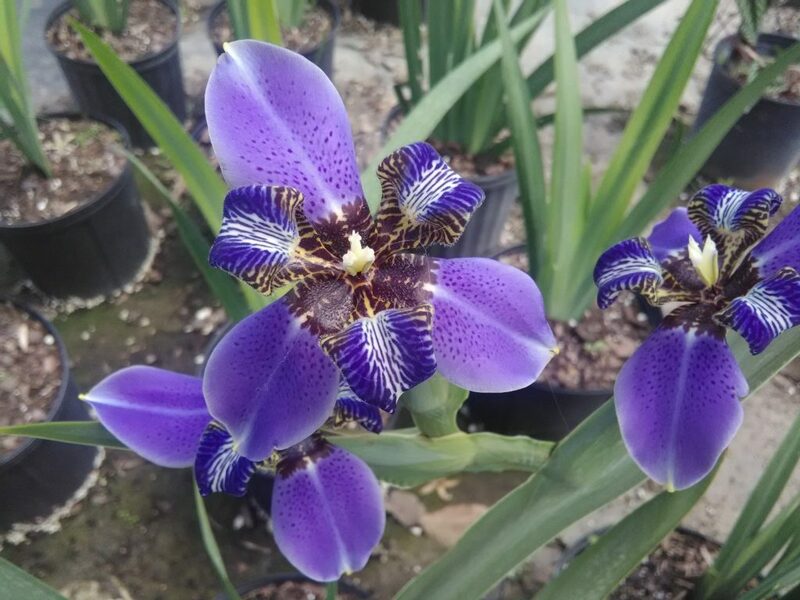 Somewhat cold sensitive, and susceptible to overwatering due to poor drainage, but well worth the effort if grown in the proper conditions. 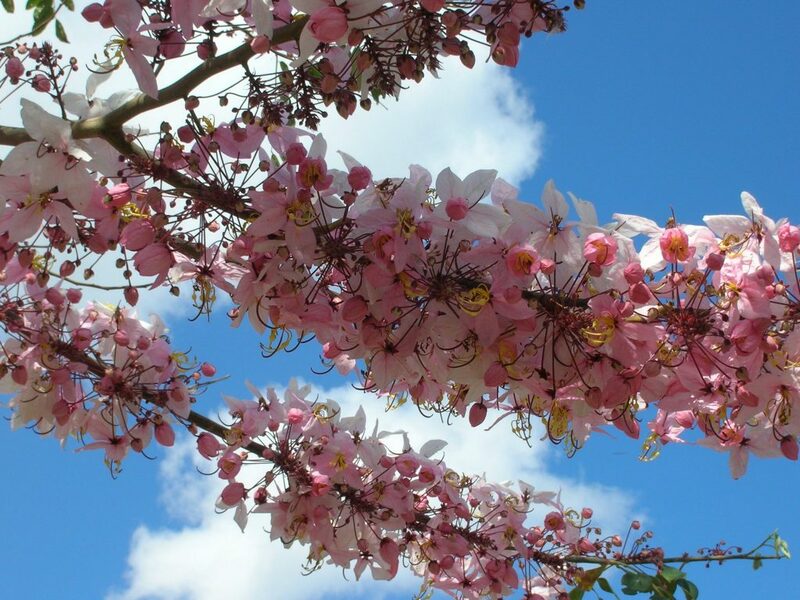 It can be maintained in a container with a trellis long term which isn’t always the case for many vines. 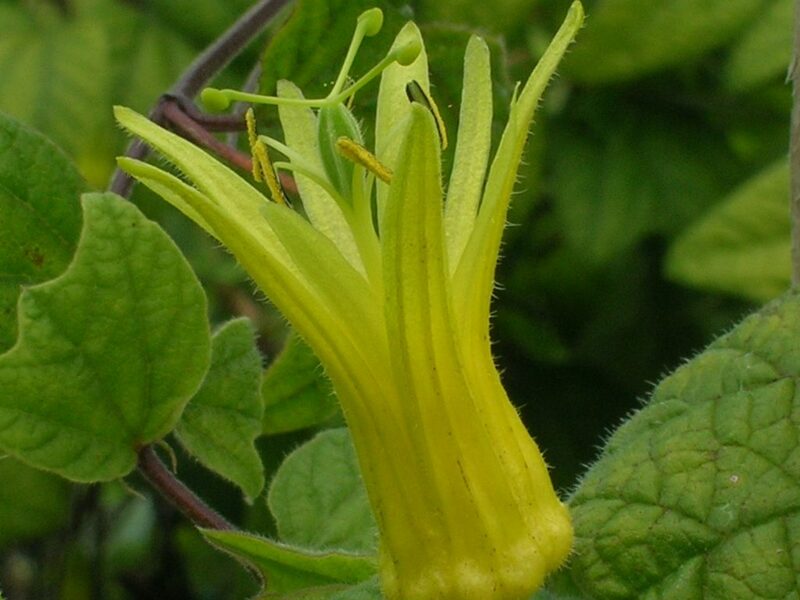 Our second vine this week, is Passiflora citrina, or a Lemon Yellow Passion Flower. 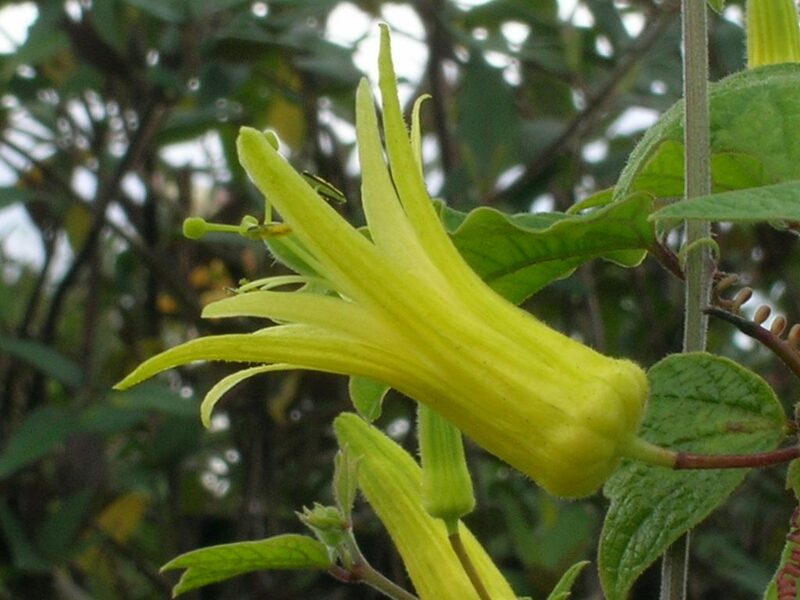 As far as I know it is the only passion vine with a yellow flower. 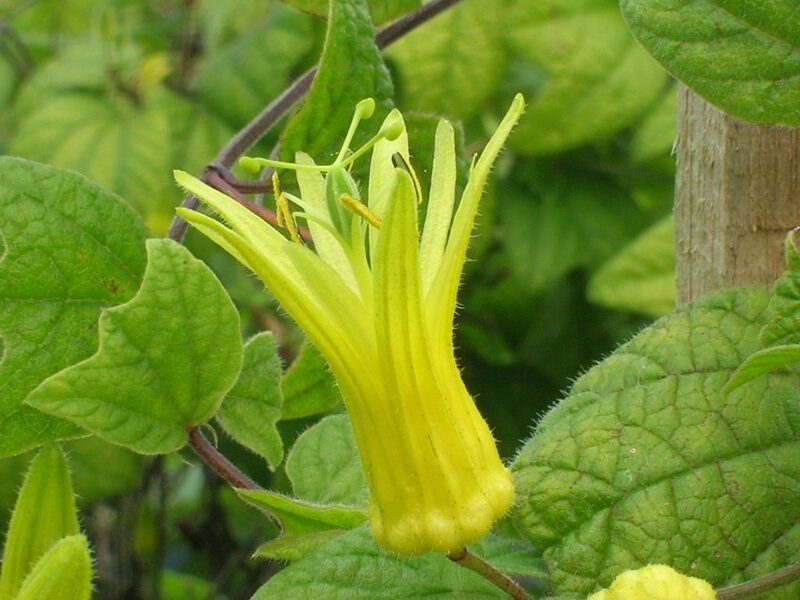 Small in stature as far as the vine and leaves, and even the flower is on the small side as far as Passion Flowers go, but a very pretty lemon yellow flower that stands out among the foliage. 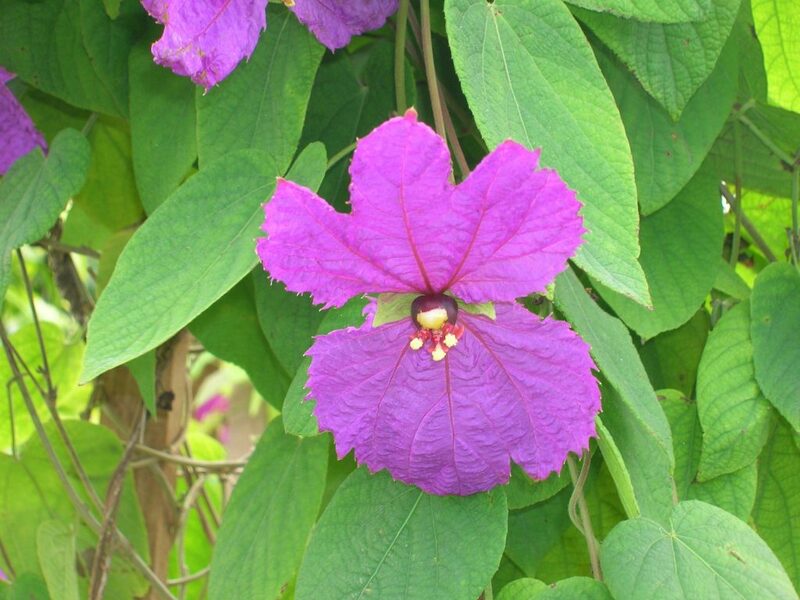 Again, because this vine is small in stature, it can be maintained in a container. 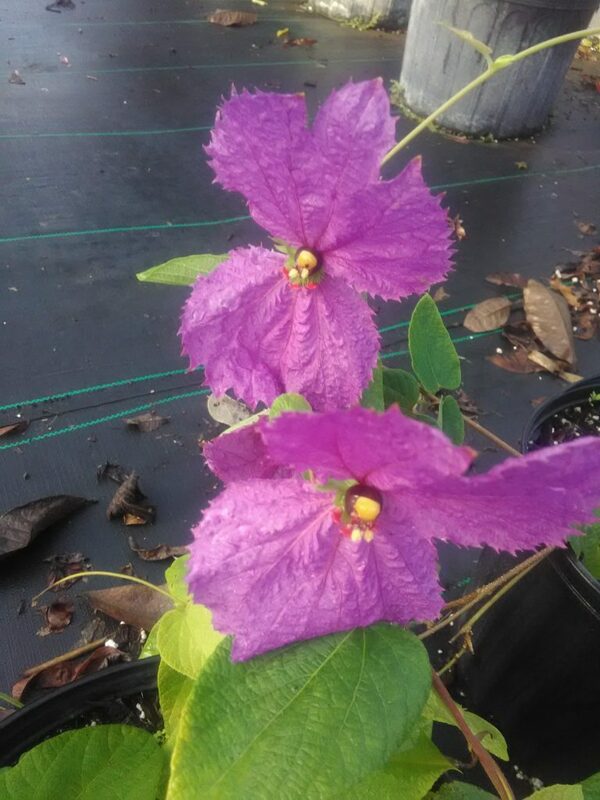 Richard Lyons Nursery currently has both of these vines in stock. 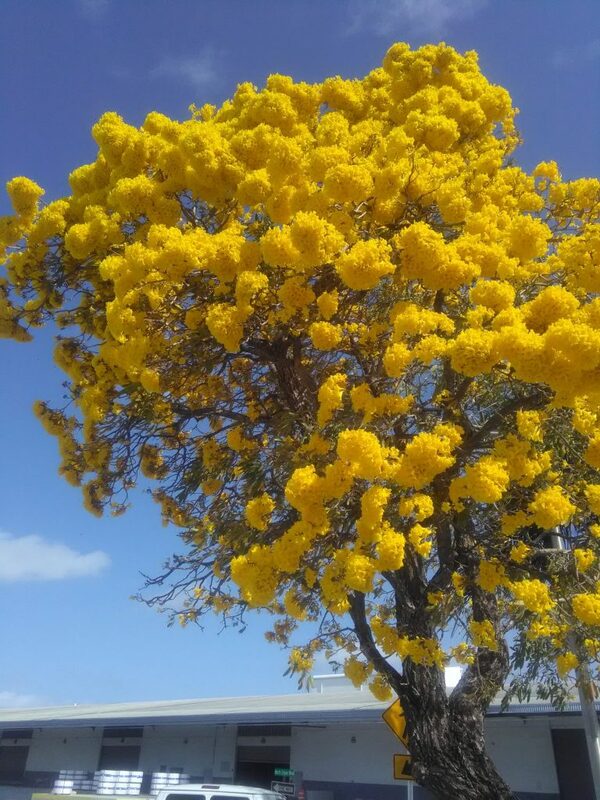 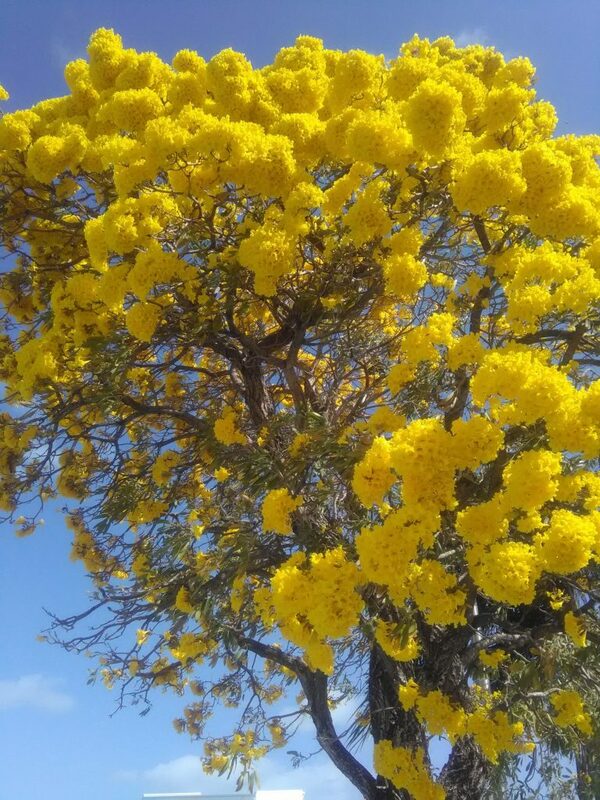 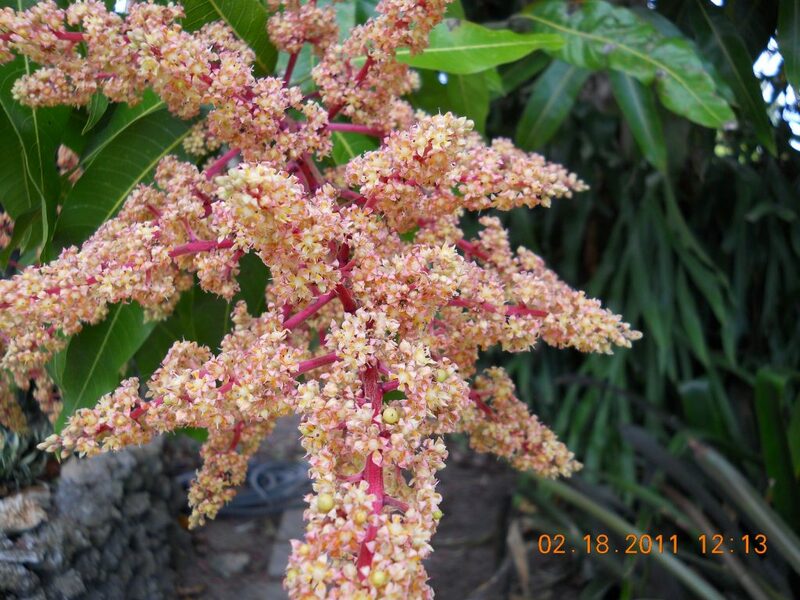 The Mango Trees are in full bloom now and the Jakfruit trees are flowering and forming fruit as well. 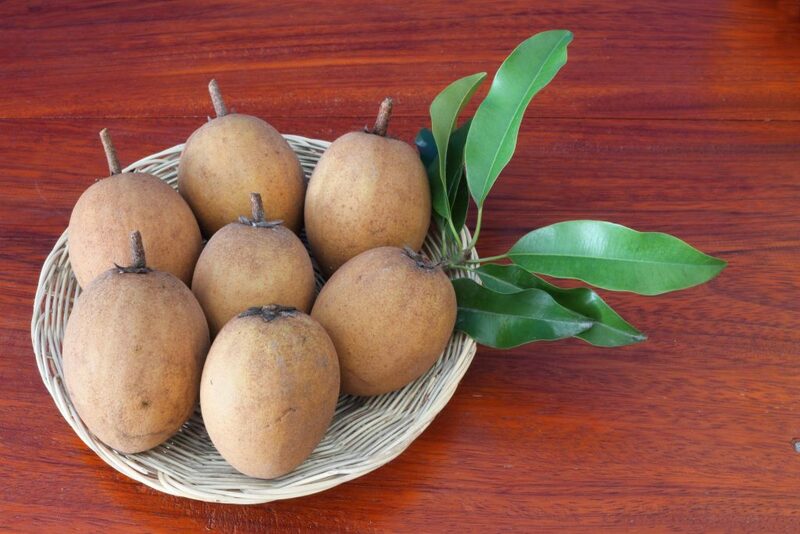 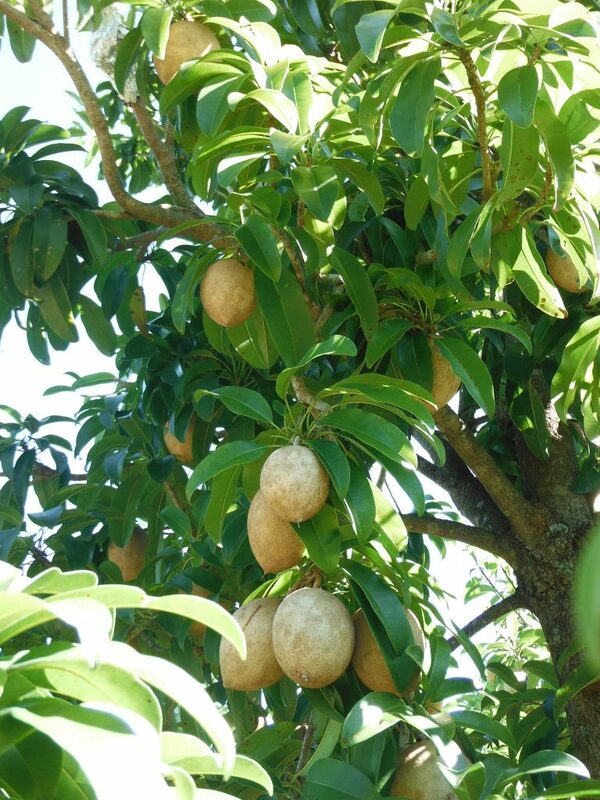 The Sapodilla trees still have ripe fruit ready for sale. 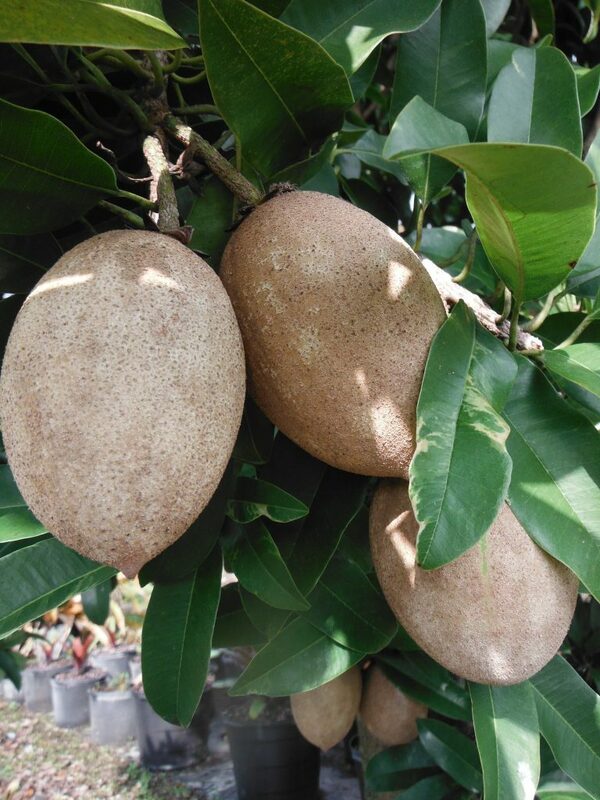 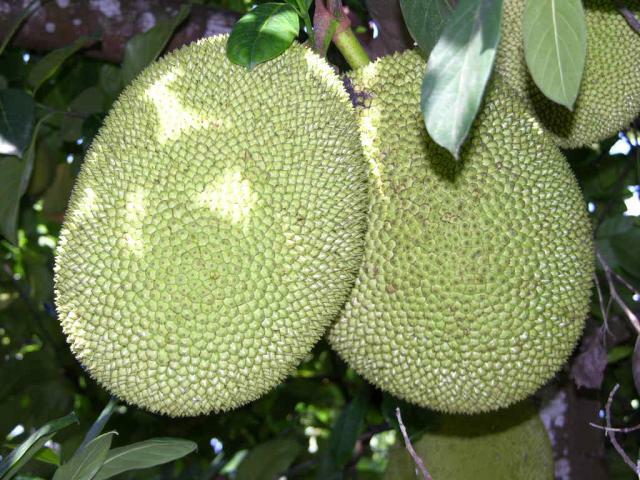 As always, Richard Lyons Nursery has a wide variety of tropical fruit trees for sale as well as ornamentals for your yard.